If we were to list the Seven Wonders of Online Casino Bonuses, free spins would have a reserved place on it, just like they do in the pantheon of internet gambling. The impact and influence of free spins has been cemented since their invention. After all, who could resist a hearty spin, free of charge? Built on this legacy stands Free Spin Casino, an online casino established in 2017. The fact that it was named after the most distinct internet casino bonus should be more than enough to lead everyone into temptation. Yet, the staff behind the scenes does not bank merely on this appeal, which means that you’ll have more to appreciate about Free Spin Casino. 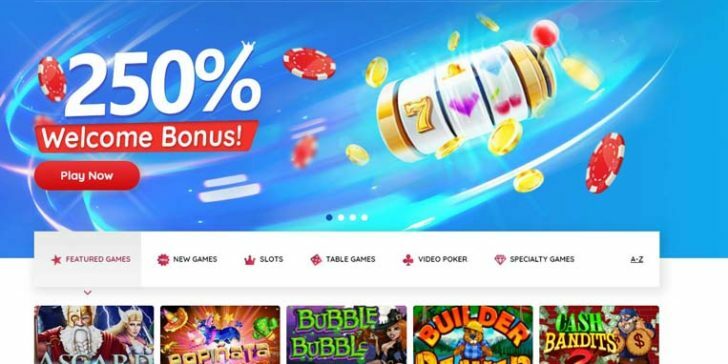 Free spins aside, this RTG online casino site boasts more than 200 games — from slots, table games, video poker, roulette, scratch cards, keno, to specialties – that are embedded in a modern and colourful design. After registering, you’ll have the option to play on mobile, in your browser, or via the downloadable casino software. Whichever you choose, Free Spin Casino’s standard of quality is guaranteed. 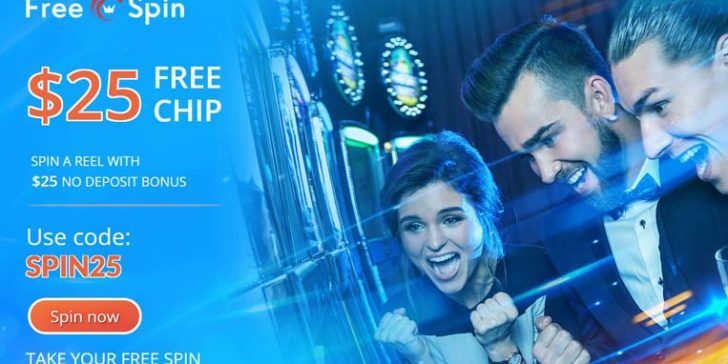 Deposits and withdrawals at Free Spin Casino are carried out in US Dollars or Euros, using all common payment methods, such as Visa or Skrill. Support is waiting for your questions on phone, mail, and live chat. It’s unfortunate that the site is available only in English, as it could gather a much wider, international audience with a few more options. At Free Spin Casino, you will not be greeted with free spins. Instead, you’ll be granted a $25 free chip bonus to give you a free hand in choosing the first game you’d like to play. All you have to do is use the ‘SPIN25’ Free Spin Casino bonus code and the freebie is yours. If you like our review about Free Spin Casino make sure to create an account and let the spins begin! 250% with code 'WELCOMESPIN' Play! Free Spin Casino Offers $2,500 Match Bonus and $25 Free Chip for St Patrick’s Day! Play! Use the Free Spin Casino Bonus Codes for Three Great Offers Play! Free Spin Casino Offers $2,500 Match Bonus and $25 Free Chip for St Patrick’s Day!